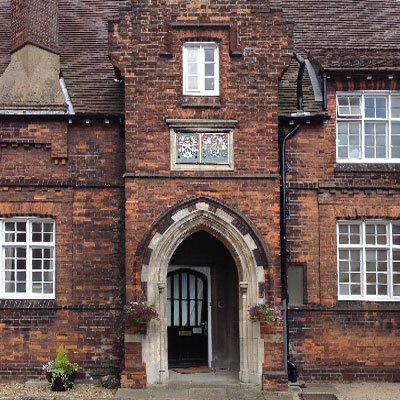 The imposing doorway that can now be seen on the South gable once stood centrally on the front façade of Old School House. The entire doorway was moved brick-by-brick to its current rather ill-fitting location. 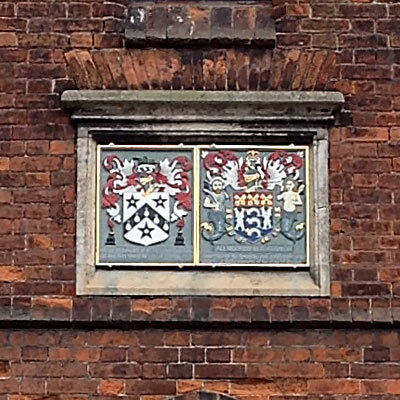 The two shields above the door are replicas of the original heraldic shields of the school’s founder, Sir John Gresham, and The Fishmongers Company of London. The school’s Charter was granted in 1555. Old School House forms the backcloth to Holt’s historic Market Place and remains as a fitting reminder of the important link between ‘Town & Gown’. On Christmas Day 1650, the Rev. Thomas Cooper, a former usher of Gresham’s School was hanged in front of the school-house for his part in a Royalist rebellion.